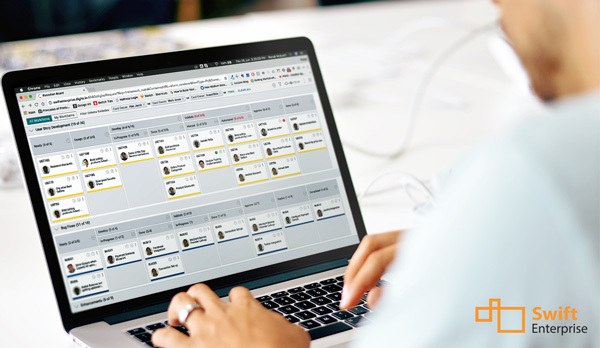 While Application Lifecycle Management (ALM) has become a topic of great discussion for middle-management, especially in Engineering organizations, it has largely remained a discussion on application/ software development and tool-chains. Advantages to Developers and Engineering managers have been highlighted, however, the crucial business benefits that ALM has the promise to deliver to the organizations have yet to be clearly understood and espoused. So that these can become the very basis for effective ALM to be established and for the business benefits to accrue. 2012 has seen significant strides in ALM. With the advent of Lean/ Kanban, the idea of Lean ALM or Lean/ Agile ALM is getting some attention. ALM itself has expanded continuously since the early days to include not just the software development activity but also supporting business/ management process governance, project/ program portfolio management, resource management and others. 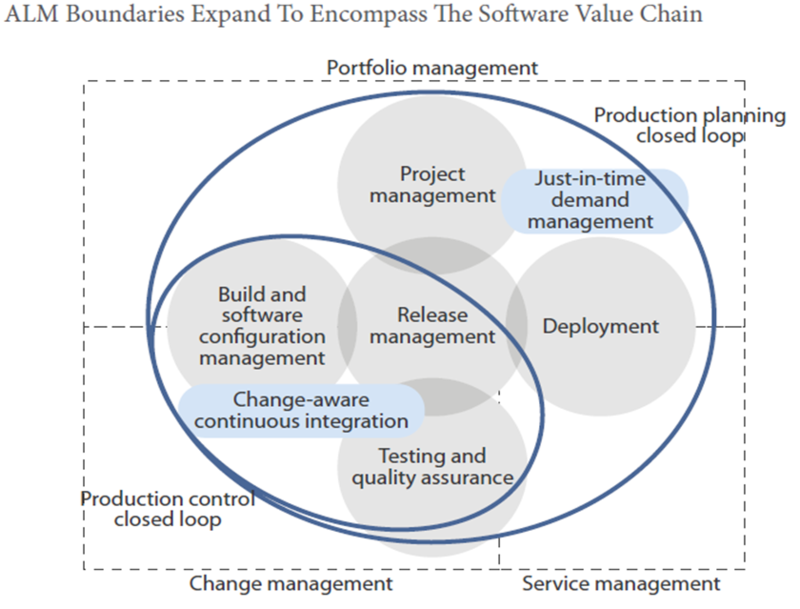 The latest Forrester ALM Wave Report for Q4 2012 defines the ALM boundaries to include all of these activities in the context of ALM. So, what does ALM mean to you – and what benefits do you seek from it? If you are considering (re)defining your ALM strategy, here are 7 resolutions that might work for you! 1. I will understand exactly what ALM means – especially in my context. ALM has broadly focused primarily on software development and too-chains to enable that. However, many IT organizations largely outsource application development work and simply need to manage their outsourced vendor’s work. Or they buy and implement 3rd party tools to meet their application needs. A large part of IT budgets is spent on maintaining existing applications. In many cases, a lot of “hidden resources” are spent building applications/ tools/ utilities that potentially never see the light of the day and may not provide the business benefits they were meant to. An Application’s “lifecycle” begins from the time someone in Business comes up with an idea or a request to the time an app is delivered (through either a build or buy approach) to service that request to its ongoing maintenance and enhancements – and typically to its retirement. Today, IT must manage all of the activities that support this lifecycle. 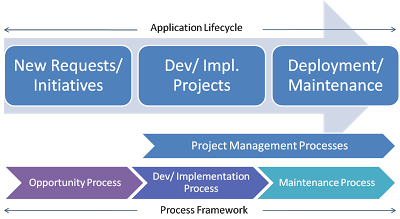 IT’s real challenge is to bring these myriad activities under a single “Application Lifecycle Management” framework and streamline them, since all of this work contributes to the application portfolio of the organization and one way or another, impacts IT budgets, cost and contribution to the organization’s business success. 2. I will understand the specific benefits that ALM can accrue to my organization. ALM’s benefits from a “tool-chain” perspective to the software team itself has been discussed extensively. However, it is at the organization level that Application Lifecycle Management can really shine! It can provide visibility (via traceability and end-to-end coverage) to all of the work being done towards building, implementing or maintaining the various apps that support the organization’s business. ALM can provide a good idea of the overall money being spent across the various stages of the application lifecycle. 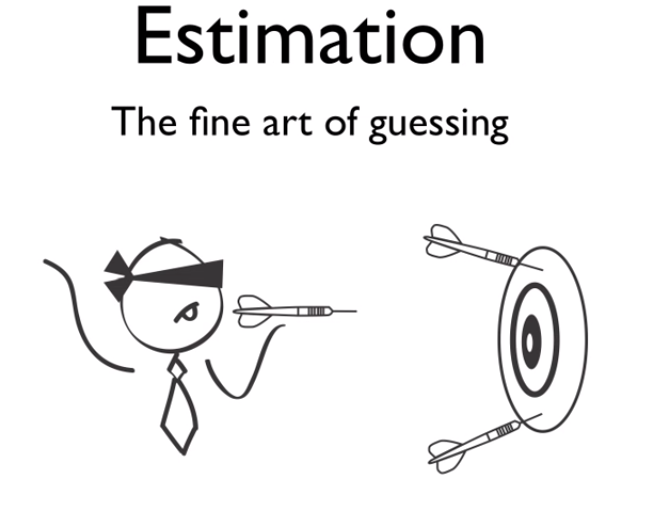 A key thing ALM can enable IT to do is measure itself on how rapidly it is able to respond to Business Requests, execute those that must be executed and those that cannot or should not be. And it can help IT respond to changes to Business Requirements on a continuous basis – and help demonstrate to Management exactly how it has been able to do that. Finally, ALM can enable an organizational dashboard that provides management a unified picture of the quality, cost and responsiveness of the IT organization while delivering real business benefits. 3. I will (put together an ALM team or charter my existing ALM team to) define our overall ALM strategy, objectives, and processes. While ALM can certainly provide benefits at individual team levels, it’s real promise and benefit is at the organization level. 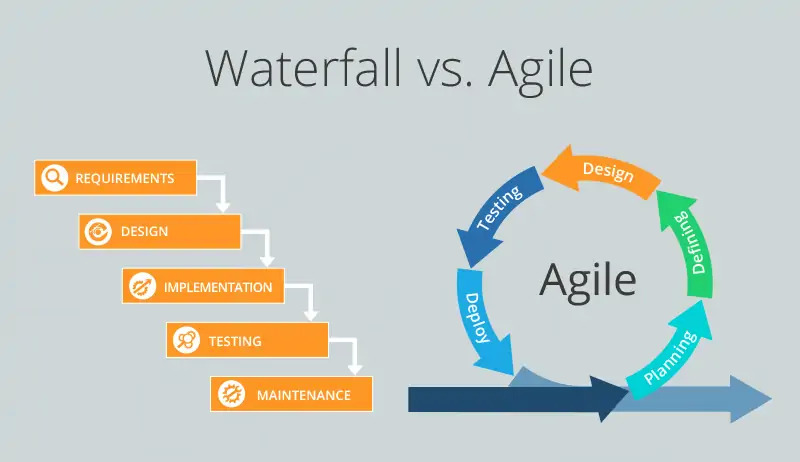 If teams are to work towards a common set of goals, they need to have some minimum common process that defines the overall Application Lifecycle, irrespective of whether it is developed using traditional, Agile or hybrid methods. A typical IT organization today is working in a mixed or Hybrid Agile environment where legacy apps may follow traditional dev and maintenance processes while newer apps built on technologies that enable real-time and continuous build, integration and deployment. Irrespective of the development method, ALM has the potential to consolidate and roll-up application development/ maintenance data and provide critical business measures of IT’s responsiveness to Business needs. 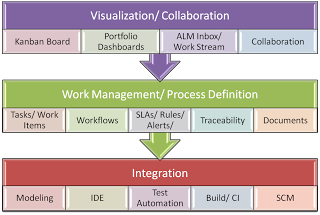 This can only be done with an overall objective and process framework under which all ALM (and PPM) tools are deployed and used. 4. I will (empower my team to) put together the necessary ALM Tools framework to ensure our ALM Strategy can be successfully executed. Whether you have existing tools that you want to integrate into a seamless ALM solution or you decide to get an integrated ALM suite, you want to be able to automate your ALM processes, measures and metrics for an end-to-end view of your applications related assets and projects. You need to be able to look at incoming demand for new functionality and tools, you need to monitor existing development and implementation projects and you need to keep an eye on existing applications’ maintenance and support activity. You should be able to conduct a ‘portfolio analysis’ of new requests, in-flight and proposed projects as well as existing applications to help Business understand and clearly define what is of real priority to them, especially changes in priority due to shifting business demands; balance your resources against these often conflicting demands and provide clear direction to your application/ project teams about what they need to do to ensure business is being served on time and with quality! 5. I will (ask the team to) catalog our existing Business Requests, Application Dev/ Implementation Projects and existing Applications to understand the current state of Applications in the organization. One of the key challenges all medium and large IT organization execs deal with are “sandbox” projects and tools; activity and assets that stay under the covers and typically may not even see the light of the day. Even if they do, and get deployed, the cost of keeping them updated escapes the official reporting of IT costs or gets incorrectly captured. Added up, they can represent a significant drain on IT budgets! Lack of an integrated system such as an ALM tool/ platform and managing with spreadsheets and Sharepoint documents further exacerbates this problem. ALM tools can help get a cohesive ALM strategy off to a great start by simply helping catalog and maintain all of the work and resources being spent on all these applications in a central repository. More importantly, it can help highlight cost and effort “leakage” in the organization and help identify these pockets of ‘hidden investments’! 6. I will define an overall Application Roadmap for this year and the next, collaboratively with the Business. Once the basic ALM framework is in place, then comes the fun part – getting together with Business and defining the overall Application Strategy and an Application Roadmap. Armed with current business requests backlog, and catalogs of projects and applications, you can engage meaningfully with Business peers on an annual, quarterly and monthly basis to review the priority of new and existing initiatives, prioritize the new requests backlog and existing applications’ performance in terms of SLAs and costs. Based on this discussion, you can start to define what needs to be taken up next week, next month, quarter or year – and you have a well-defined Application Roadmap that everyone can see and collaborate on to keep it current! 7. I will regularly monitor the Implementation and Success of our ALM Portfolio and ALM Strategy. If you are able to go through and implement the first 6 resolutions, the 7th should be a breeze! Admittedly, it will take some work to do it. The key issues to be discussed and resolved are always business, policy or process related. But they NEED to be dealt with for effective Service Levels from IT to business! And an effective and integrated ALM process and tool strategy will be help immensely in making the transition from just building software and applications to managing your Applications portfolio well throughout their Lifecycle! I hope you find these resolutions useful. Please do recommend others that you believe are critical as well. I wish you a successful New Year, especially in your Lean/ Agile ALM initiatives!